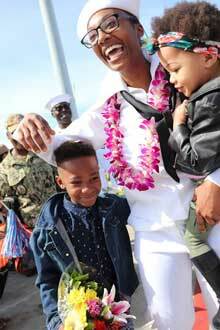 Carrier Video "Sun King Hey Ya "
Joyous reunions were the order of the day as USS Decatur returned to San Diego from deployment on April 1. SAN DIEGO (NNS) -- The guided-missile destroyer USS Decatur (DDG 73) returned to San Diego April 1, following a deployment to the U.S. 7th Fleet and 5th Fleet areas of operation. 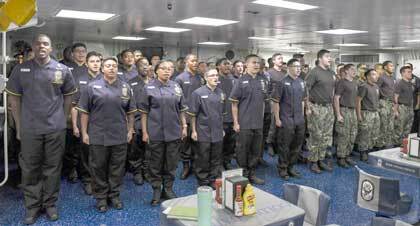 "This deployment highlighted every capability that dynamic force employment provides," said Cmdr. Bob Bowen, Decatur's commanding officer. "We were successful on deployment, providing the fleet commanders with a well-trained and equipped surface combatant capable of executing any mission assigned." 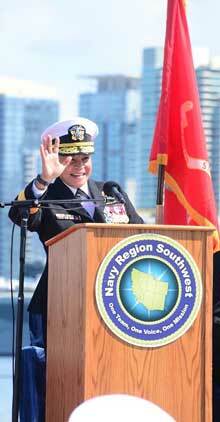 SAN DIEGO (March 22, 2019) Rear Admiral Bette Bolivar assumed command of CNRSW from Rear Admiral Yancy Lindsey in a change of command ceremony held at North Island on March 22. CORONADO, Calif. (NNS) -- Rear Adm. Yancy Lindsey relinquished command ofNavy Region Southwest to Rear Adm. Bette Bolivar during a change of command ceremony March 22, on Naval Base Coronado. WASHINGTON (NNS) -- The Technology Transfer Office at the U.S. Naval Research Laboratory forged a strategic partnership with 1776, the nation’s largest network of entrepreneurial incubators, to foster innovative-intellectual exchange and gainful collaborative agreements. At 1776, promising tech-enabled startups, investors, corporate partners and government agencies in innovation-driven industries, collide in a central location where meaningful exchange between markets, talent and capital take place. Navy Digital Library expands its reach! PATUXENT RIVER, Md. - The Navy has awarded The Boeing Co. a contract for the procurement of 78 F/A-18 E/F Super Hornet aircraft; a multi-year procurement (MYP) of 72 between fiscal years 2019-2021, and six from fiscal year 2018. Navy officials estimate this multi-year model saves a minimum of $395 million on this contract valued at approximately $4 billion. There will also be opportunities in fiscal 2020 and fiscal 2021 to procure six more aircraft at the same reduced prices as those in MYP, via a variation in quantity. The Fixed Price Incentive (Firm Target) (FPIF) contract limits the Navy’s liability and incentivizes the cost of production for industry. Under this contract, the Navy and its industry partners have agreed to share any monetary overrun or underrun once the production is completed. WASHINGTON (NNS) -- Navy has expanded the eligible categories for advanced dependent travel (ADT) and delayed dependent travel (DDT), personnel officials announced in September. For moves from the 50 states to overseas locations, only DDT will be authorized. For moves from overseas locations to the 50 states, only ADT will be authorized. Sailors will only receive one housing allowance, either for their location or their dependent’s location, under delayed or advance travel. Sailors or dependents may be assigned government quarters if available, but may not displace a member or dependent in government housing. Requests for DDT or ADT must be submitted to Navy Personnel Command (PERS-451). For information and answers to questions on this policy, email NXAG_N130C@navy.mil. SAN DIEGO Sailors assigned to amphibious assault ship USS Boxer (LHD 4) recite the Sailor's Creed on mess decks during the ship's Navy Captain Edward F. Ney Memorial Award inspection. Boxer is pierside in its homeport. U.S. Navy photo by MC3 Alexander C. Kubitza. PACIFIC OCEAN (NNS) -- “Ney every day.” The words are written on plaques adorning each of the main entrances into the mess decks of amphibious assault ship USS Boxer (LHD 4). It’s a small message, but a powerful mission statement for the Sailors of the supply department aboard. Boxer was recently awarded the 2019 Navy Captain Edward F. Ney Memorial Award in the Large Afloat category, for the first time in her 24 years of service. Cmdr. Phoebe Tamayo, Boxer’s supply officer, equates winning a Ney award to the supply equivalent of winning the Super Bowl, and recognized the crew for their overwhelming support in making it happen. What is even less common is that two ships in the same amphibious ready group would receive a Ney award. Amphibious transport dock ship USS John P. Murtha (LPD 26) received a Ney award as well for the Small-Medium category. While the award is a nice gesture for a job well done, Master Chief Culinary Specialist Jade E. Metz, Boxer’s Supply Department leading chief petty officer, believes its larger purpose is to encourage high-performance and improve the quality of life for Navy personnel. United Through Reading® is a program helping ease the stress of separation for military families by having deploying or deployed service members read children’s books aloud via DVD for their family to watch at home. This powerful program is available to all military units. It provides service members a chance to make lasting connections from afar. The DVD recording and the book are mailed to the child and family back home. Service members who are leaving for training can also take part in this program. 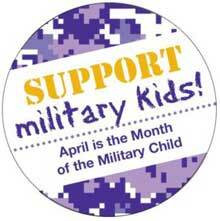 Being a parent is not required; service members can send the DVD & book(s) to any special child in their life such as younger sister or brother, niece, nephew or godchild. On the day of the recording, service members are encouraged to dress in the attire they will be wearing while deployed/training, but this is not required. The room is private, so any special message, or those fun reading voices, will only be heard by the recipient of the DVD recording. USO San Diego has books available, or service members can bring their own. Our volunteers will help set up the camera and then leave the room. The DVD can hold a 30 minute recording. Please e-mail USO San Diego Staff Member Nichole Duarte at utr@usosandiego.org to make your appointment. 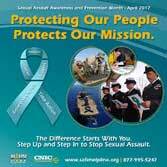 This program is offered at both USO San Diego centers. The Dispatch is published by Western States Weeklies, Inc.